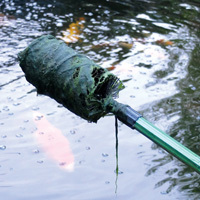 PondXpert Preformed Pond Koi & TripleAction 3000: Preformed Pond Liners: Pond Liners - Buy pond equipment from Pondkeeper: fishing out the best deals on the net. 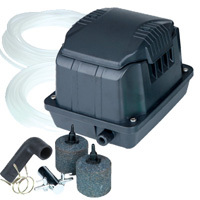 Save £30* plus an additional £24 on this pump and preformed pond set. 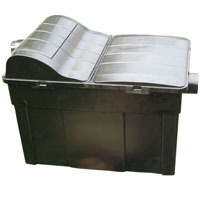 This preformed pond liner is highly durable, will not puncture and is easy to install. It is the biggest preformed pond in our rnage and is big enough to accommodate fish and plants. 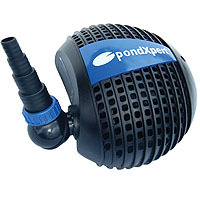 Preformed ponds are the easiest ponds to install and the pump is very convenient as it is actually three items in one submersible unit. Follow the links for more information on the preformed Koi pond to view the preformed pond in more detail or TripleAction 3000 for the pump. *Saving based on buying items separately.